Ukrainian Village: Hottest Neighborhood in the Country! UKRAINIAN VILLAGE — Ukrainian Village has captured “hottest neighborhood in the country” honors, online real estate brokerage Redfin says. Redfin’s just-released “Hottest Neighborhoods of 2016” report, which ranks neighborhoods in 32 cities across the country, shows Ukrainian Village as first in the nation. The West Loop and East Village ranked second and third hottest neighborhoods in the city. The calculation was based on page views, searches and other factors measured on Redfin’s website and app during the second half of 2015. In the last few years, Chicago Avenue — Ukrainian Village’s main commercial street — has seen a boom in new retail shops, restaurants and apartments. Do you think Ukrainian Village really is the hottest neighborhood in America? And since many streets in the area are in the Ukrainian Village Landmark District, much of its character has been preserved. “For someone who wants a single-family home while still enjoying city life, the location is ideal. 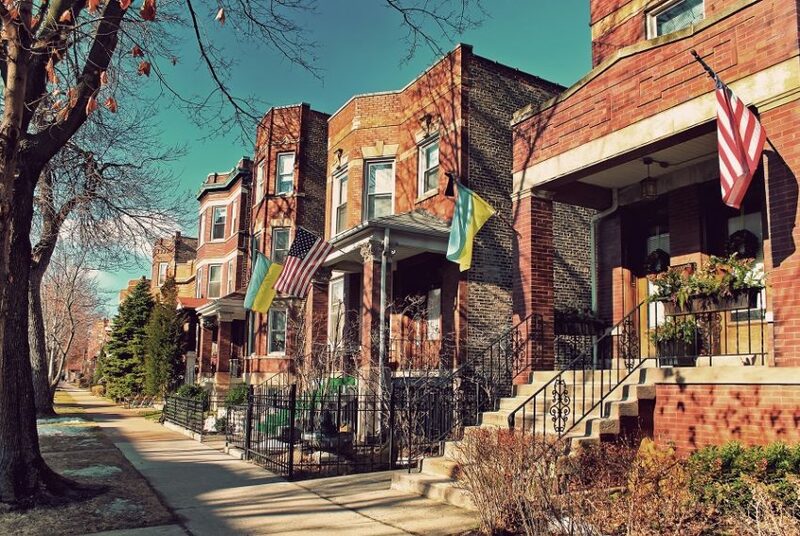 Much of Ukrainian Village is landmarked, so you’ll find brick and stone housing built in the late 1800s, rather than the trendier [and more expensive] new construction condos nearby and on the neighborhood’s main thoroughfares,” Voutsinas said. Redfin officials say that neighborhoods with the most growth in metrics from the “Hottest Neighborhoods” report are projected to show more transactions and higher prices in 2016, based on the site’s “predictive model” that has been accurate in the past. St. John Lutheran Church at 913-25 N. Hoyne Ave. in Ukrainian Village was sold to a developer in February and included in the historic landmark district in March.